With top-and-bottom beats, and positive results in individual segments, DIS stock looks exciting again. Throughout much of this year, Disney (NYSE:DIS) attracted worldwide attention for its clash with rival media-giant Comcast (NASDAQ:CMCSA). At stake was the rights to Twenty-First Century Fox’s (NASDAQ:FOXA) entertainment assets. Both bidders had their critical reasons to enter the fray, but ultimately, the Magic Kingdom prevailed, sending Disney stock higher. The enthusiasm from the news had a lasting effect. Comcast conceded to Disney on July 19. Since then, shares have gained more than 3%. While nothing spectacular in and of itself, DIS stock managed to avoid the brunt of the October selloff. That’s a significant plus considering that the broader markets are still struggling to regain their form. However, it’s difficult for an industry stalwart to gin up excitement, especially after a major event like the “Fox wars.” No matter how you cut it, Disney stock is a steady, but boring, investment. It’s great during volatile sessions like what we have recently experienced, but it doesn’t typically attract the growth buyers. Yet if the recent Disney earnings report is any indication, we may have to change our perceptions about DIS stock. Heading into the fourth-quarter 2018 earnings report, investors had a dim view on DIS stock, with shares down 1%. But once the results came in, those same pessimists will likely reverse course. Consensus estimates for earnings per share was $1.34. Actuals came in at $1.48, producing nearly an 11% positive surprise. The tally shocked the markets not just for the size of the beat, but also due to historical trends. In recent years, we’ve seen a sharp performance drop-off for Disney stock in Q4. For instance, in the year-ago quarter, DIS EPS was $1.07, missing the $1.13 consensus. It was a similar story in Q4 2016, when the company delivered an EPS of $1.10 against a $1.16 consensus. 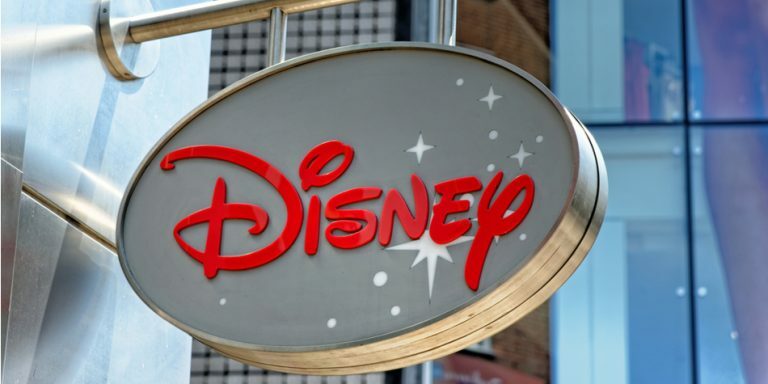 Disney earnings for Q4 2015 resulted in a modest 5% beat. Long-term shareholders witnessed comparable enthusiasm for the revenue front. Covering analysts pegged consensus sales at $13.7 billion. Individual estimates ranged from $13.2 billion to $14.1 billion. The entertainment behemoth rocked those figures, driving in $14.3 billion in revenue. This represented a 12% lift from the year-ago quarter. Naturally, Disney stock jumped on the disclosure, gaining roughly 2% during extended-hours trading. Such impressive results against a challenging environment provides confidence that Disney’s “old school” entertainment assets are still very much assets. Another confirming factor is the company’s theme parks. This segment provided DIS stock with an operating income of $829 million thanks to a surge in summer attendance. You can really take your pick among the highlights from the Disney earnings report and run with it. With these stats, I believe the safe money is on DIS stock gaining new ground. But for me, I’m very pleased with the company’s box-office results. Their film portfolio, which this year featured hits like Ant-Man and the Wasp and Incredibles 2 resonated strongly with audiences. Levering the popularity of these science-fiction and fantasy franchises, DIS delivered movie profits of $596 million. Yes, the number is mouthwatering, but the most critical factor is it confirms management made the right move buying out Fox’s entertainment assets. Another bullish tailwind for Disney stock is the underlying film industry. People very much want to go to the movies despite this streaming era, as I have consistently argued. Compared to attending baseball, basketball or football games, a night out at AMC (NYSE:AMC) is far cheaper. Even if you add in basic concessions, you’re still getting far more value for your dollar at the cineplex. Finally, let’s just be real: an investment in Disney stock gives you direct exposure to the world’s greatest entertainment portfolio. Better yet, management knows it. DIS is planning another “Star Wars” spin-off, milking the seemingly infinite cash cow. And why not? When you have something this good, it’d be criminal not to advantage it. As of this writing, Josh Enomoto is long AMC. Article printed from InvestorPlace Media, https://investorplace.com/2018/11/disney-stock-receives-new-life-after-tremendous-q4-earnings/.